We realise photographers pricing varies greatly, with this in mind we have tried to keep our pricing as simple as possible, allowing you to add products to suit your requirements. However, if you would like something which is not listed, please call or e-mail and we will create something bespoke. An initial consultation to discuss your requirements for your big day. A pre wedding shoot at your venue, this allows us to scope areas for photography on the day and look at inside and out side options, after all, you can never tell what the British weather will do! All selected images digitally enhanced, removing fire exit signs, blemishes and even softening out a few wrinkles. All high resolution images on a CD/DVD for you to keep. A professionally designed luxury 30 page A4 wedding album (Digital Album). A professionally designed luxury 20 page 12×12 wedding album (Traditional style). A password protected online gallery for family and friends to view your wedding images, with the facility to create and order a range of albums, prints, frame, canvas and photo book products..
Additional time after 21:30 @ £100 per hour, in 1/2 hour increments. Alternative album options available, please contact us for pricing and details. Duplicates of main wedding album from £252. 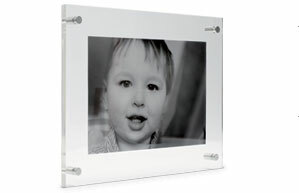 Parents and guest albums from £167. (sizes available A4, A5, A6). Personalised “save the date” cards and envelopes (using an image from your pre wedding shoot) £1.85 per card upto 50 cards or £1.65 per card upto 100 cards. Personalised “thank you” cards and envelopes (using an image from your wedding day) £2.35 per card upto 50 cards or £2.00 per card upto 100 cards.